Ruby gemstone or Manik is a fascinating gemstone which wins applauds from every corner for its mesmerizing color and luster. Nevertheless, often people find it confusing that whether ruby is precious stone or semi-precious stone. And, if it is classified as being precious gemstone so what is the reason behind classifying it as a precious stone and what is the difference between precious and semi-precious stone? So, first of all, let’s understand the actual difference between precious and semi-precious gemstone. The gemstones or minerals which persist historical and ceremonial importance are regarded as the precious gemstone. They are immensely valued because of their rarity and numerous physical and metaphysical attributes. It is extremely hard for a mineral or gemstone to enroll in the category of precious gemstone because to classify in the category of precious stone a gemstone has to possess or hold certain characteristics which are exceedingly hard to obtain. Hence, there are only four minerals, which are categorized as being precious gemstones Ruby, Sapphires, Emerald, and Diamond. Besides these four minerals up to now, no other mineral has been able to enroll itself in this category. All these four minerals contain striking attributes such as terrific color, shine, fewer inclusions, and rarity. On the other hand, a gemstone is categorized as being a semi-precious stone which has commercial value being a gem, but not as valuable as precious stones are classified as being semi-precious stones. They are not as valuable as precious primarily based upon cut, color, size and other properties which are lesser than precious stones. However, since a precious gem is expensive and available in limited numbers, whereas, a semi-precious stone is found in plethora quantity and can be used as a substitute of a precious gemstone. 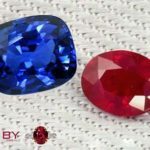 Now coming to the question of why ruby gemstone is considered to be as precious stone: ruby stone belongs to the corundum family and it dominates the intriguing color and striking luster which is rare to locate. Along with this, a ruby is a hard stone on hardness scale it achieves the rank of 9.0 which is subsequent to diamond only. 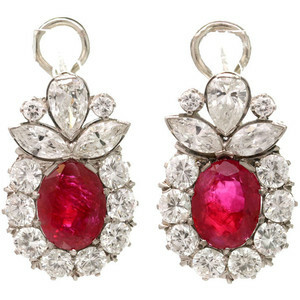 It has historical value and use of ruby is mentioned in bounteous historical books and texts. 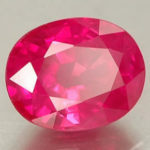 According to astrologers ruby is associated with the coercive and auspicious planet Sun and wearing sun blessed Manik stone will bring an innumerable number of positive results in the lives of its wearers. Therefore, all these affirmative signs justify being the address of this stone as a precious stone.